A few months ago, we told you about our state’s beer and breweries. But what of wine lovers? If your tastes run towards the grape instead of the grain, you’ll be glad to know that there are almost as many wineries in Colorado as there are breweries! Believe it or not, there are over 40 individual vineyards and meaderies perfecting their vintages, and nearly a hundred locations waiting for you to have a taste in almost every part of the state. And now is a great time to plan your Colorado wine-tasting getaway to your favorite bed and breakfast inn! Colorado’s warm and fertile valleys and plateaus catch plenty of mountain runoff and are warmed by over 300 days of sunshine a year. Add to that our low humidity and cool nights, and you have the makings for ideal vineyard conditions. Outside of California, it just doesn’t get any better for grape-growing west of the Mississippi. Grape harvest is traditionally in September, If you’re into the wine trail experience, we have four of them that you can follow: the Front Range, Heart of Colorado Wine Country, Four Corners Region, and Pikes Peak and the Arkansas Valley Region wine trails. Or just choose one or two near your vacation destination, and enjoy the fruits of Colorado’s vineyards against the spectacular natural beauty of our state. And let’s not forget the events! Throughout the state, and throughout the year, we offer a wide variety of wine-related events that feature grower representation, wine-and-food pairings, tastings, seminars, and more! August 10, 2012: The 6th Annual Beaver Creek Wine and Spirits Festival. Concentrates on wine, spirits, and other related topics. Featuring a Trade Day for anyone who makes their living from work related to libations, a seminar by Maximilian Riedel (CEO of Riedel Crystal), and a Red Wine Experience (also by Maximilian Riedel). 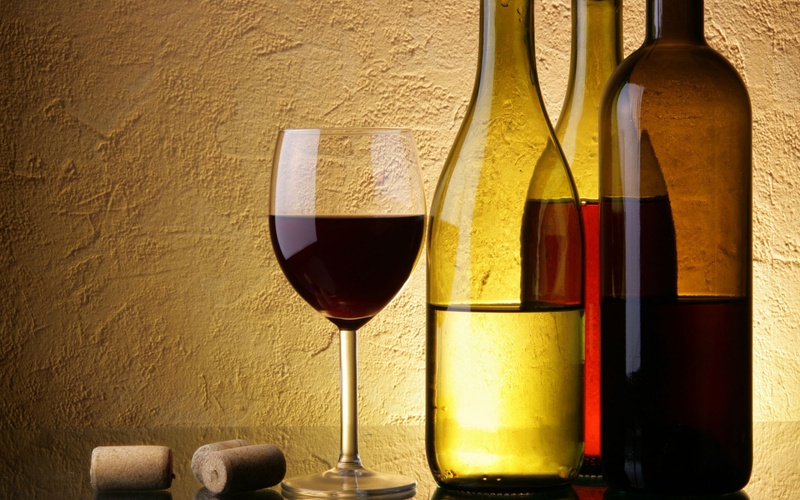 Of course, wines will have a large presence at the event. August 18, 2012: 3rd Annual Bootstraps Western Winefest, Evergreen. Outdoor wine-tasting event featuring 21 wineries from around the state and, food, and vendors. August 25, 2012: Front Range Wine Festival. Something new for the Front Range! Area wine vendors, music, food, and sales. September 15, 2012: Colorado Mountain Winefest in Grand Junction. The premier wine celebration in the entire state, this event celebrates local wineries with over 50 in attendance from all over the state. Live music, tasting, sales, seminars, and demos. October 8, 2012: Odd, Offbeat & Obscure Wines in Fort Collins. Not your usual wine event, featuring lesser-known wine types from around the world. Our guess is that you might see Xinomavro, Muscat, Chenin Blanc, Gewurztaminer, Moschofilero, and similarly lesser-known wine types. only on Colorado Wines, but from wines around the world. December 8, 2012: Wine, Chocolate and Cheese Festival in Ouray, CO. Just in time for Christmas, taste Colorado wines, and try creations from great chocolatiers and cheesemakers. Buy presents for friends, family, and even for yourself! June 14-16, 2003: Aspen Food and Wine Classic. Food & Wine Magazine presents cooking demos, wine seminars and tastings, trade-related information, and appearances by celebrity chefs during this annual event. August, 2013: Steamboat Wine Festival in Steamboat Springs. We just missed this year’s event, but you can make plans now for next year! Arguably one of the largest in the state, this premier event welcomes winemakers, culinary masters, and guests. Over 100 food, wine, breweries, distilleries, and product offering vendors are in attendance each year. Enjoy cooking demos, seminars, tastings, and outdoor fun! This is by no means a comprehensive list. Check with your bed and breakfast innkeeper for information on other wine-related activities in your vacation area. Another great source for event information is the Colorado Association for Viticulture and Enology. With so many wineries and events throughout the state, Colorado is a great destination for a wine-lovers’ getaway. Or, visit a choice few area wineries during your vacation visit! Member inns of the Bed and Breakfast Innkeepers association will be happy to host your stay. This entry was posted in Uncategorized and tagged Colorado Wine, Wine Events by admin. Bookmark the permalink.